The woods, the mountains, the lake, or the countryside, too—no matter what kind of outdoor adventure you’re into, sometimes it’s just great to reconnect with nature. 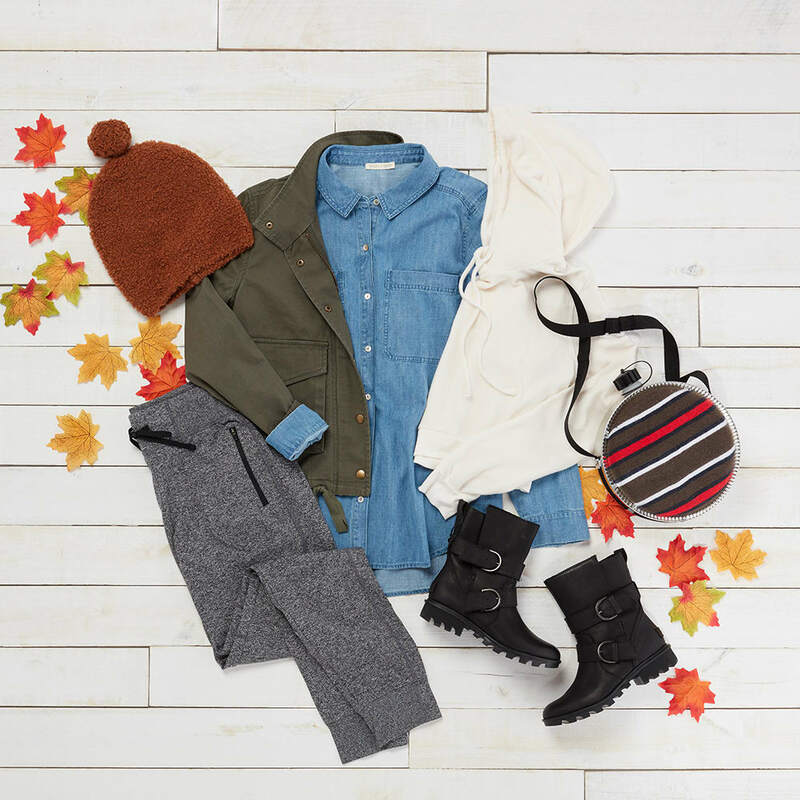 So go ahead and plan your getaway to the great outdoors, because our expert stylist, Kat, is sharing cute, comfortable, cozy outfit ideas that’ll help you take it all in. When packing for a trip where there are a lot of activities in store, be sure to bring plenty of layers. Another pro tip? “Don’t be afraid to mix your casual day wear with your athletic wear,” Kat says. Try pairing a cropped hoodie with a long-sleeve button-down. You can tie the shirt around your waist during the day, and then wear it under your hoodie for added warmth when it gets chilly. 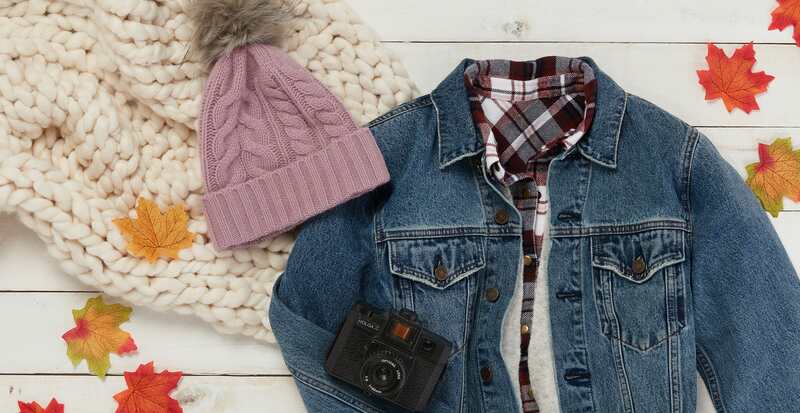 A denim jacket and faux leather leggings may not be the first things you’d think to wear, but when paired with a cozy sweater and a knit beanie, the final look is a practical, stylish, “wear anywhere” look. “Sometimes, the best looks are the ones that are pieced together with a little bit of everything,” Kat says. “Classic looks with beautiful basics never go out of style,” Kat says. And yes, that rule definitely extends to practical wear, too. 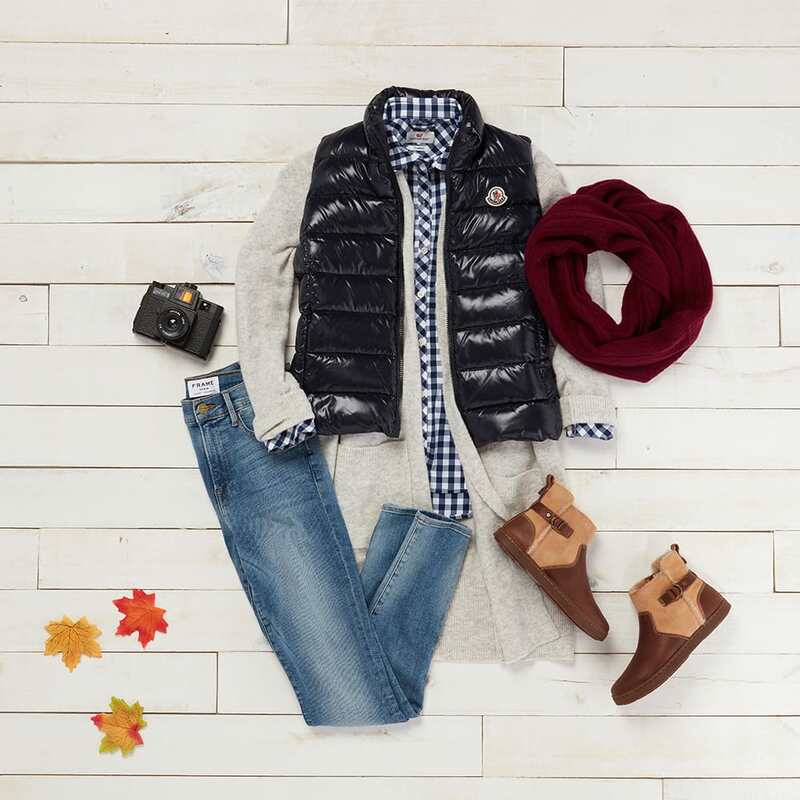 Protect yourself from the elements with quality pieces that are cute and functional, such as a water-resistant vest or jacket, and sturdy boots that’ll grip the terrain.